Check back often through March 2016 for more prize updates! The winning bidder will receive a one week stay in a reef-side, oceanfront condo in San Pedro, Ambergris Caye, Belize. Enjoy the world's second largest barrier reef, and some island time in the tropics! We have also added a $500 Gift Card which can be used for airline or travel expenses! ​Visit our full Belize Auction Prize Page for more information! * Special thanks to Ken and Jenny Osterman for donating their home in Belize to our auction. The winning bidder will receive timeshare accommodations at the Sheraton Vistiana Resort in Orlando for up to 7 nights, subject to availability. The unit contains a master bedroom, spare bedroom, full kitchen and living room, kitchenette, and laundry machines. In addition, there are two sleeper sofas. This unit can comfortably accommodate up to 8 guests. As an RCI Gold Crown® Resort, Sheraton Vistana Resort puts you close to all of Central Florida’s magical family attractions—and far away from the routine. Thrill seekers will enjoy the theme parks and endless attractions. Sports fans will celebrate the pristine golf courses, beaches and famed racetracks. Connoisseurs will crave the world-class shopping and renowned dining. And everyone will love 135 acres of pools, mini golf, tennis courts, and other fun amenities. The winner will also enjoy 4 one-day adult Disney Park Hopper Tickets, valued at $155.00 per pass which enable same-day admission to: Disney's Magic Kingdom, Animal Kingdom, Hollywood Studios and Epcot in Florida. (Expires 1/15/2018, cannot be used Dec 25-31 of any year). Tickets cannot be upgraded nor can they be applied toward package. Enjoy a two-night, weekend Ocean View stay from October through May subject to availability. You can choose either one of two 4 bedroom condo units. Enjoy the wonderful beach and ocean views. Light the fireplace and relax or there are plenty of places to eat or ride bikes, that are provided. Experience the Cape May Wine Trail, visit the County Zoo, stroll through historic Cape May, or enjoy quaint shopping just north in Stone Harbor. Condo generously donated by Bill Brooks. Create an heirloom! 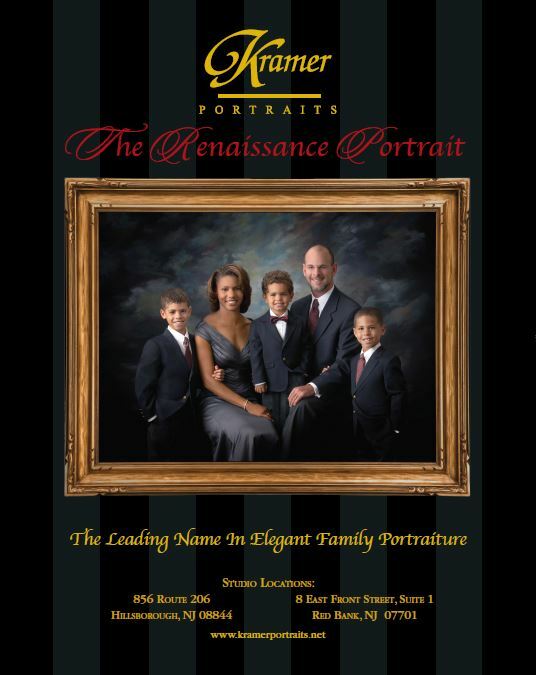 Gift certificate for a Renaissance Portrait (11” x 14” wall portrait) on canvas with artist enhancement to be created at choice of New Jersey studios in Hillsborough or Red Bank. A maximum of 8 people can be accommodated in the portrait, which is unframed. The gift certificate is non-transferable and it expires 3 months from date of event.